Music Together Sandiano (簡稱MTS) 擁有國際化的團隊! 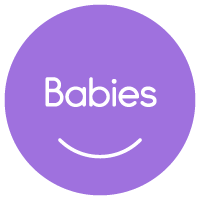 We love Babies, Toddlers and Preschoolers! Certification Level I. Music Together® Teacher. Sandy is an Early Childhood Music Educator with a BA in Piano Performance at the Boston Conservatory, MA in early childhood music education at Teacher's College, Columbia University, New York City, and MA in Arts Administration at Shanghai Conservatory of Music. Sandy grew up playing the piano and violin, as well as singing and dancing. She took her Music Together Teacher Traing in New York City with co-founder Lili in 2003. And began her teaching journey as a teacher in Shanghai in 2011 and now, with her two children Madison and Hudson, she enjoys the program even more as a parent. Besides music, Sandy also enjoys oil painting and yoga. Ms. Sandy has been teaching since 2011. Registered Music Together Teacher, From Hellen's earliest memories, music has always been an integral part of her life. Her passion for music was passed down from her parents - from her father who made Hellen and her brother sing Korean children's songs during the daily drive to school to a never silent car ride with her mom who loved Barbra Streisand, The Three Tenors, and old Korean pop music. Music has been weaving through every part and season of Hellen's life, as she sings in a choir, plays the clarinet or recorder, jams to the radio while driving or baking in the kitchen, and even when she's sings and plays with her nephews over video chat... music is her language of love. Hellen has been teaching Music Together since September 2015. 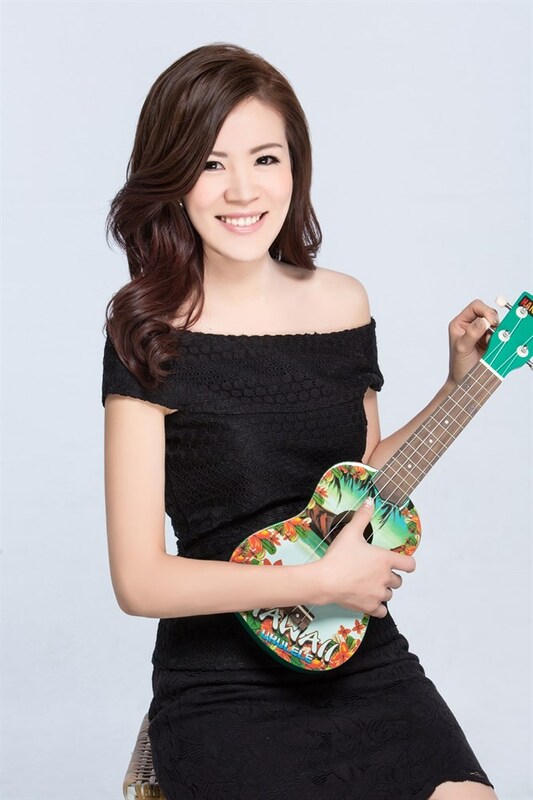 She moved to Taipei after marrying a Taiwanese-American and loves being a part of the Music Together Sandiano team! Hellen has been teaching since 2015 Fall. Certification Level I. Music Together Teacher. Maggie is a graduate from Berklee College of Music in Boston major in Vocal Performance. Music has always been a big part of Maggie’s life as a young child. She began her piano lesson at age of four and performed in numerous of music performances and shows through her music years. Maggie discovered and experienced the joy of Music Together as a parent when her son Benjamin was 1 and half years old in 2013. With her passion of singing, she was trained and became a registered Music Together teacher by Susan Darrow, the Music Together LLC, CEO in 2014. She loves children, loves music and singing and certainly loves Music Together Sandiano team,and surely looking forward to spreading the LOVE musically to all our families of MTS! Maggie has been teaching since 2014 Fall. Maggie畢業於美國波士頓伯克里音樂學院(Berklee College Of Music) 主修Vocal Performance。Maggie四歲開始學習古典鋼琴，之後音樂就一直是她生活的一部分，當中不但有過多場鋼琴發表會及演奏會，在美國求學時也跟許多優秀的歌手及樂手合作完成多場演唱會。2013年Maggie帶著當時才一歲半的兒子Benjamin參加了Music Together Sandiano，之後因為熱愛這個幼兒啟蒙音樂課程，於2014年接受了Susuan Darrow (Music Together LLC, CEO)的訓練，正式成為合格的MT授課教師。她非常熱愛孩子，熱愛音樂，熱愛唱歌，當然還有Music Together Sandiano這個大家庭，也一直期待著能把這份愛傳達給我們MTS的所有可愛的家庭! Registered Music Together Teacher, Alice remembers how her parents were always singing no matter where or when and sometimes they even danced together. To her, those are some of the best memories of her childhood. Every weekend her mom and dad would wake her up with all kinds of music - classic, pop, country, Taiwanese folk songs - and all this inspired her immensely. Alice was in a chorus from elementary school all the way to high school. She loves singing even more after giving birth to her daughters. In 2014, Alice attend the training and became a registered Music Together teacher by Susan Darrow, Music Together LLC., CEO. Alice has been teaching since May 2015. Registered Music Together Teacher, Michelle loves music and singing since she was young. In her early childhood, she had learned piano and classic guitar. Music has played a major role in her life. Michelle took her son to the MT class in 2015. As a MT parents, she loves singing and dancing with her child. Even more with her passion of music, she was trained and became a registered Music Together teacher in 2017. As someone who loves music and kids, Michelle cannot wait to share the beauty of MT music with you, hope that the seed of music with love and energy can be spread far and wide. Let’s make music together! Ms. Michelle starts teaching in 2018 Spring. Certification Level 1. Music Together® Teacher. Peggy started learning piano at the age of four. She loves music , singing and dancing. She was a member of the Taipei Chinese Orchestra, school choir, and athletics cheerleading team during her school days. Peggy graduated from the National Taitung University, Department of Music Education, where she majored in vocal performance, piano, and cello. She is passionate about education, and she likes to interact and grow together with children. After receiving her BA in Music, she successfully passed the exam to join the Taipei Philharmonic Chorus as a soprano. She extended her love for singing by performing at weddings and banquets. After graduating from college, Peggy taught music at an elementary school for a year, and Orff Music classes at a kindergarten for three years. She discovered the joy of Music Together through her friends. She was surprised and excited to learn Music Together’s way of interpreting children's songs and turning it into popular songs that are pleasant to the ear, catchy and easy to remember. She can feel the Music Together songs positively influencing the children to truly like music. Even she herself loves to make Music Together with children. Peggy completed her Music Together Teacher Training in 2012 and received her Level 1 certification in 2016. She has been teaching Music Together for six and a half years, and she will continue to teach Music Together programs and spread the passion for music and education!